Lightroom vs Photoshop | Which 1 Is Right For You? Lightroom vs Photoshop, which 1 is right for you? 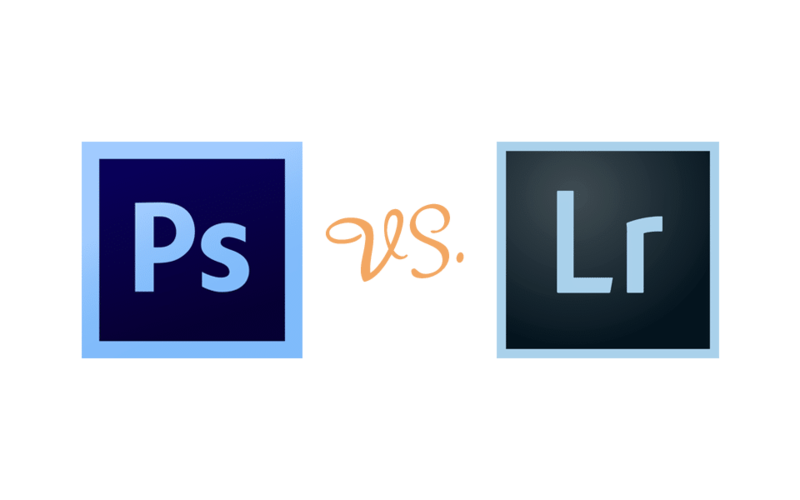 In this Lightroom vs Photoshop comparison, we’ll look at the strengths and weaknesses of both. Only then, will you be able to make an informed decision on 1 or the other. Or maybe both? Please note, this comparison is in reference to Lightroom Classic and not the new version of Lightroom. Before we get into the strength & weaknesses of both, lets first delve into a brief history of both. Photoshop, was introduced in 1990 and it’s been the king of photo editing software ever since. But is it really the true king for editing? Well, Photoshop is so ingrained in our society that an image may be referred to as “Photoshopped”. Or let’s say you’re taking a photo of someone. They may say something along the lines of: “no worries, you can just Photoshop that out”. Becuase of its long history and is well known most photographers will gravitate to Photoshop first. But, Lightroom is also another viable option and a strong contender. It all depends on what you’re trying to create, creatively. Lightroom was first introduced in 2007. Ever since Lightroom has given Photoshop a run for its money. Some of the things you can do in Photoshop, but not all, can also be done in Lightroom. After all, both are photo editing software. However, as you may know, Photoshop does give you options to do more than just photo editing. So which one should you be using… Lightroom vs Photoshop? In this article, I’ll share with you some of the differences between Photoshop and Lightroom. This will give you a better insight into which one you should be using or maybe even both. Let’s first start off with Photoshop and explore some of its features, strengths, and weaknesses. Before we dig into the strengths and weaknesses of Photoshop, I first want to share with you something a lot of artists do not realize when they first begin using Photoshop. And that is, Photoshop is not just a standalone editing software in and of itself. Photoshop actually comes with 2 additional tools that you can use in conjunction with Photoshop. Both of which expand the power of Photoshop. Those additional tools are known as Adobe Bridge and Adobe Camera Raw. Adobe Bridge allows you to organize your digital assets (photos for example). Adobe Camera Raw is the software required to process RAW images. We’ll learn about these a little more throughout this article. But first, let’s go over what type of software Photoshop is. 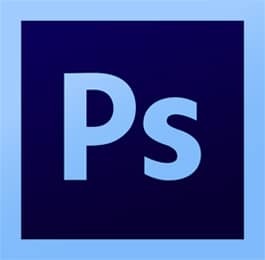 This will help establish the strengths and weaknesses of Photoshop. So, Photoshop is a pixel-based software program. What exactly does that mean? Well, any artwork you either create in Photoshop or any images you open will be displayed based on the pixels of that artwork. Pixels make up the little dots on your monitor that allow you to see the information being displayed on it. With Photoshop, you have complete control over editing those individual pixels to fulfill your creative vision. The one thing you need to know and master, in Photoshop, is layers. They are the heart of Photoshop. Everything you do will involve layers. Some artwork will require a single layer. Some artwork will require hundreds of layers. Layers are the biggest strength of Photoshop. Without them, Photoshop would be just another pixel-based paint program. When you begin using layers you’ll wonder how you could ever live without them. You couldn’t. Once upon a time, I had zero layers. It’s true. Back in 1990, when Photoshop was commercially released, layers were not available! Once layers were introduced, in 1994, our creative possibilities were taken to a whole new level. There are additional tools that can be used directly with layers as well. These tools give you additional creative options that would not be possible without layers. Some of the other tools that you can use with layers are: layer masks, opacity, fill, and blending modes. The latter of which we’re going to touch on next. But first, layers are abundant in Photoshop. In fact, there are seven different types of layers to help you achieve your creative vision and four different ways to customize those layers. If you would like to learn more about Photoshop layers, click here for an in-depth introduction to Photoshop layers. The next strength of Photoshop is the Selection Tools. Using the Selection Tools is a skill set that you need to add to your repertoire. Selection tools allow you to precisely control your edits anywhere within your photo. Plus, selection tools give you the ability to do more advanced types of edits. Whether you want to retouch a specific area or maybe you want to replace the element that you selected, selection tools make that process that much easier. For example, you can use selection tools to replace a plain boring sky, with no clouds, with another sky that has more abundant, beautiful and fluffy clouds. Or maybe you want to change the sky with more intense sunset colors versus what you originally captured. Another strength of Photoshop is the vast amount of different retouching tools you have to edit your images. With Photoshop, you have healing brushes, the clone stamp tool, content fill aware and more to help you retouch your images. The retouching tools in Photoshop will help you with both basic and advanced types of retouching. Everything from stray hairs, to reducing bags under eyes, removing blemishes, whiten teeth, and so much more. A Photoshop action is a productivity tool that will allow you to record what you’re doing, save it and then play it back on future images. This is a HUGE strength of Photoshop! Actions are helpful when you have a specific type of edit you wanted to do over and over again on additional photos. Instead of starting over from scratch you can have Photoshop record the steps of the edit, to create the action, and then you’ll have an easy way to apply it to future photos. You could even buy Photoshop actions created by other artists to try and replicate their editing style. However, buying premade actions (or even free ones) doesn’t mean that they are going to necessarily work for your photo. There are a lot of variables involved and a specific type of action isn’t going to work for all photos 100% of the time. You could even download free Photoshop actions as a way to learn how a certain type of edit was achieved. This can be done by reverse engineering the action. In other words, looking at each individual layer and edits applied to achieve the desired edit. Compositing is a method by which you take one or more additional photos to combine with the original photo to create your artwork. It could be something as complex as changing the background or the sky. Or maybe adding elements that were not in the original like maybe a tree or an animal or something like that to create something completely different. Another example would be taking 2 similar photos and combining one element with the other, to “fix” it. Think of a family shoot with kids. Kids don’t always keep their eyes open. It never fails that mom chooses her favorite photo but “Johnnies” eyes are closed. Well, you could take the other photo, with his eyes open, and add to the “closed” eyes photo. That’s compositing. Photoshop’s content aware fill, is one of my favorite retouching tools. Although we already listed Retouching as 1 of Photoshops strengths, this one is in a category of its own. It’s that powerful. That being said, it’s not 100% perfect all the time, but it’s very close. It does make retouching fast and easy for sure. You can also use it to stretch out or extend an image as well. Which is essential for images destined for a gallery wrap. Or just to blur out or blend a background. Another fun and creative tool in Photoshop is known as blending modes. I also like to refer to them as creative modes. Blending modes give you the ability to blend one or more layers together for new creative effects. Altogether there are 27 different blending modes to help you achieve your creative vision. Not only can you use Photoshop for editing images but to also to create graphics. These graphics can be used in conjunction with your image to create a brochure, a flyer, or something else for your advertisements. Or they could be graphic elements that are artwork by themselves. This could be a drawing, vectors, digital paintings, animated gifts, website design and much more. The biggest obstacle to using Photoshop is learning Photoshop. There are so many tools and features that you can’t just learn Photoshop overnight. In fact, I would say not even in a couple weeks or couple months. Sure, you could learn the basics of how to do something and then be able to repeat what you learn to get the same results on another photo fairly quickly. But, to have a deep understanding of how to use specific tools, for a specific project, takes time and practice learning all the tools and features. Not only that, a lot of times there is more than one way to do something in Photoshop. Which means that just because you learn how to do something doesn’t mean there isn’t a better or faster way to do the exact same thing. Then you have to consider the evolution of Photoshop. Every year Photoshop comes out with new tools to help us achieve our creative vision faster. Which means new tools that you have to learn and apply to see if it’s going to help you achieve your goals faster. For example, recently Photoshop came out with a new tool called Select Subject. This new tool is being described as a tool that will make automatic selections for you in one click. But is it truly a one click and done selection tool? The answer may be surprising. If you want to find out more about that specific tool click here. One last thing, as I mentioned previously, Photoshop comes with Adobe Bridge and Adobe Camera Raw (also known as ACR). These are two more tools that you need to learn about if you want to take your Photoshop experience to the next level. When you first start using Photoshop, you may be overwhelmed by the vast amount of tools and information that you have to learn. My suggestion is to start with the basics. Which are the strengths of Photoshop mentioned above. Hint: I placed the strengths in the order in which I recommend to learn first. There are two different ways you can edit your images in Photoshop. One is to work destructively and the other is to work non-destructively. Anytime you edit your image, without applying those edits on individual layers, you are in effect editing destructively. If you were to take a specific type of edit, let’s say a curves adjustment, and apply it to the original image layer, save it as a JPEG file, close it and reopen it then you have in affect destructively edited the image. Here are the consequences… if you decide later on that you made a mistake and you want to undo that tone curve adjustment it’s too late. That’s because you applied that edit directly to the pixels of that image. If you had applied that tone curve adjustment to a separate layer and saved it as a PSD file, then, you will not have altered the original individual pixels. Which means when you save it and open it up again you will then be able to tweak your tone curve adjustment layer and still have the original image intact. Although this is a weakness of Photoshop you do have the number one strength of Photoshop available. Which is to use layers as you edit. These are also known as adjustment layers. Highly recommended! Depending on the type of photography you do and how many images you need to edit, Photoshop by itself is not a very productive type of software. Unless of course, you take advantage of Photoshop actions and Adobe Bridge as well. However, it still is quite a bit slower versus Lightroom when it comes to editing a large number of images. Especially if you’re a professional portrait photographer and shoot around 100 images per session. Or as a wedding photographer, you may shoot over 1000 images per event. In that case, editing your photos in Photoshop will be non-productive. 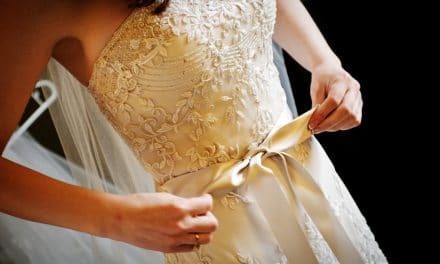 Although you could create a workflow based around Photoshop, Bridge and even ACR, my 15 years as a wedding photographer has shown me that editing large amounts of images, like a wedding event, is so much faster with Lightroom versus Photoshop. That being said, Photoshop is also not a native organization system. In other words, Photoshop itself will not give you the ability to organize, sort, rate, add keywords and other metadata directly in Photoshop itself. However, Photoshop does come with a program called Adobe Bridge that will give you the power to organize your images. Although I am a huge user of Lightroom, I do use Adobe Bridge on a daily basis. And I use it for finding files, renaming files, and much more. One of the things you’ll notice with Photoshop is that if you shoot raw photos you will not be able to open them up directly in Photoshop. Instead, when you open up a raw file that file will open up in a program called Adobe Camera Raw or ACR for short. The editing tools available in ACR are the exact same editing tools you have in Lightroom. So in a way Lightroom is built into Photoshop or ACR. Before Lightroom, we only had the option to edit our raw files in ACR when it came to using Adobe products. At some point, Adobe decided that they would take the raw processing software of ACR and combine it with the organizational options of Bridge to create a brand-new option for editing and organizing images. Personally, I do prefer Lightroom over ACR when it comes to processing hundreds if not thousands of images. However, if I just have a few images that need editing I will bring them into ACR versus Lightroom. This all depends on the project that I’m working on. Not long ago, Adobe introduced a new version of Lightroom. It’s called, well, Lightroom. The “old” version of Lightroom is now called “Lightroom Classic”. Confusing, am I right? The features and tools in the new version of Lightroom are far less vs. Lightroom Classic. For simplicity, we will only go over the strengths and weaknesses of Lightroom Classic. Also, unlike Photoshop, Lightroom is NOT a pixel-based editing program. Instead, any edits are recorded in a text file and applied to the original image on export. This text file is either saved with the original file and/or within the Lightroom catalog itself. The most powerful aspect of Lightroom is the Library Module. It helps you organize your images and will streamline your workflow. However, it is not the most popular module in Lightroom and some would argue not the most important. As your digital assets (images, videos, etc..) grow at some point you will need to find a specific asset. If you have, let’s say, 100,000 images how long will it take you to sift through them to find that 1 image? Well, if you’ve organized them and added keywords, ratings, etc.. it’s possible to find that one photo in a matter of seconds with the search/filter options in the Library Module. The Library Module is similar to Bridge in that it allows you to organize, sort, rate and basically just organize your images as you can do in Adobe Bridge. However, the interface and layout design is much more efficient in Lightroom versus Adobe Bridge. You can quickly and easily rate your images, add keywords and other metadata by using specific tools within the Library Module. One of those tools is known as presets. Which is another strength of Lightroom. We’ll cover that in item 3. But first, let’s take a look at the second strength of Lightroom. The most popular module in Lightroom is none other than the Develop Module. It is after all where we do our creative work and edit our images. It’s also a strength of Lightroom since the ability to process raw files is built into the software. Unlike Photoshop, where you have to use a separate program. The same editing tools are available in Lightroom that we have in ACR. However, Lightrooms interface is 10 times better vs. ACR. 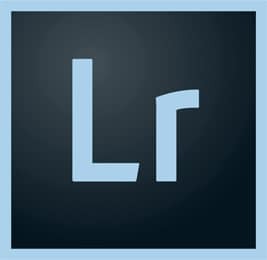 Lightroom was designed for photographers by photographers. Therefore, you’ll find that the editing panels and tools are presented in a way for a fast and productive workflow. In fact, you can even show/hide any panels you do not use in your artwork. All of which will streamline your workflow. Lightroom presets are similar to Photoshop actions. Presets allow you to record edits, that you apply to an image, and then save it so that it can be reused on future images. For example, in the Library Module, you can create keyword presets to help you quickly and easily apply keywords, you can create a copyright preset that will apply copyright information during import and much more. What I love about Lightroom is the ability to create a fast and productive workflow to give me consistent results. The layout and design of the individual editing panels are done in a way that is much more efficient versus ACR. Plus, you have the ability to do much more than just editing your images. I would argue that organizing your images is just as important if not more so than editing your images. And that’s because as your digital library of photos grows you need a way to access specific photos at certain times for specific projects. Developing a fast and productive workflow is key to working with thousands of images. Lightroom makes that process easier with its presets, interface design and more. Since Lightroom is not a pixel-based editing software any edits applied are done so non-destructively. When importing your images into Lightroom, previews are created from the originals. Then, when you make edits you visually see those in the preview (not the original file). At any time you can go back to the original and/or tweak your edits. Although Lightroom isn’t as complex as Photoshop it still takes some time to learn all the different tools and features within it. The Develop Module itself has a lot of panels and editing tools that you need to learn about in order to be able to achieve your creative vision. Not only that, if you want to get the most out of Lightroom it’s best to learn some of the other modules as well. if nothing else, you should at least learn how to use the Library Module. Another cool feature of Lightroom is the ability to take ALL your photos with you and at the same time leave all your hard drives at home. This is done with a feature called: Smart Previews. Smart Previews are an advanced type of preview file. When importing images, Lightroom creates small previews of your original files. It doesn’t actually import the originals. With Smart Previews, the files are a little larger and you can still work on your photos when the original is not connected. If you were to take your Lightroom catalog on the road, you could only work on your images if you created Smart Previews during import. This gives you the advantage to take ALL your photos with you! So far, we’ve talked briefly about the Library and Develop Modules. However, there are five additional modules to help you achieve other types of outputs for your images. This includes the Book, Slideshow, Print and Web modules. There’s also a Map of Module that you can use to view your images based on where they were shot anywhere in the world. So far, you may think that Lightroom is perfect and doesn’t have any weaknesses. Well, that’s far from the truth. A lot of what we can do in Photoshop we can’t do in Lightroom itself. For example, we don’t have the power of layers and blending modes. Which brings us to one of the biggest weaknesses of Lightroom. Although we do have retouching tools in Lightroom they are not as advanced as what we have available in Photoshop. Some of my favorite retouching tools are not available in Lightroom. Like, the Patch tool and Content Fill Aware tools. As well as selection tools. Which are an important element in precisely controlling where we apply our edits. With every new revision of Lightroom, we do get additional more advanced tools that help close the gap between Photoshop and Lightroom. 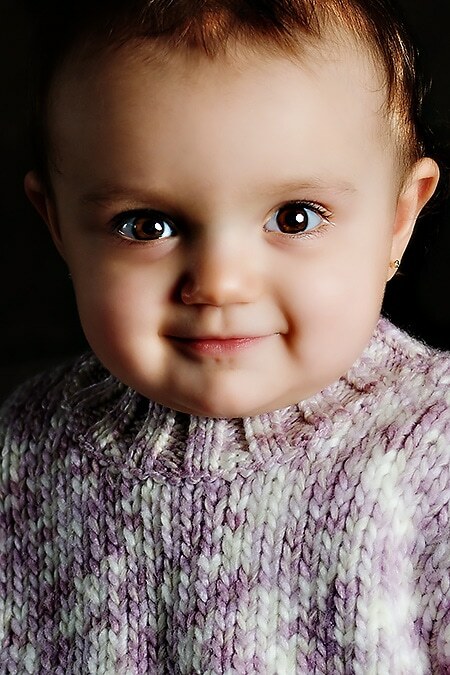 But, Photoshop still has some retouching tools that are more advanced versus Lightroom. Becuase Lightroom is not a pixel-based application and doesn’t have layers, we can not do compositing. 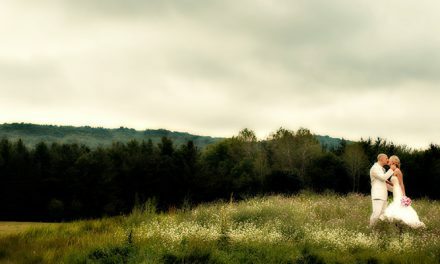 Unless your doing HDR or stitching panoramic images that is the extent of compositing in Lightroom. The other disadvantage to Lightroom is the fact that you have to create a database before you can start working on your images. Although there are some advantages to using a database it does have its limitations. One of which is the more images you add to your database the slower it can become over time. That all depends on your computer, the resources and how many images you have. You can get around that by creating more than one Lightroom catalog or database. The disadvantage of that though is you can only have one Lightroom catalog or database open at a time. So if you need to search for a specific photo you have to remember which catalog it’s in and then have to open that specific catalog to find and work on that particular image. The other disadvantage to Lightroom is the fact that you can only work on images. You cannot create any type of graphics within Lightroom, you can’t add text to your images or create flyers or anything else along those lines. Therefore Lightroom is strictly an image editing software. Lightroom vs Photoshop… Which One is Right For You? That depends on the artwork you’re trying to create. The good news is you don’t have to choose between 1 or the other. Unlike in the past when you had to shell out $700 for a Photoshop license and $150 for a Lightroom license, now you can get both for just $10 per month. Plus, that includes upgrades. Previously, when I wanted to upgrade to the latest version I had to shell out around $100 (per software) to get that updated version. Now, simply by paying $10 per month we get unlimited upgrades as soon as they come out and we have access to both Photoshop and Lightroom. In the end, depending on your needs you may find you will need one or the other. But, it’s nice to know that we do have access to both for one small fee.